that is the sweetest face ever! 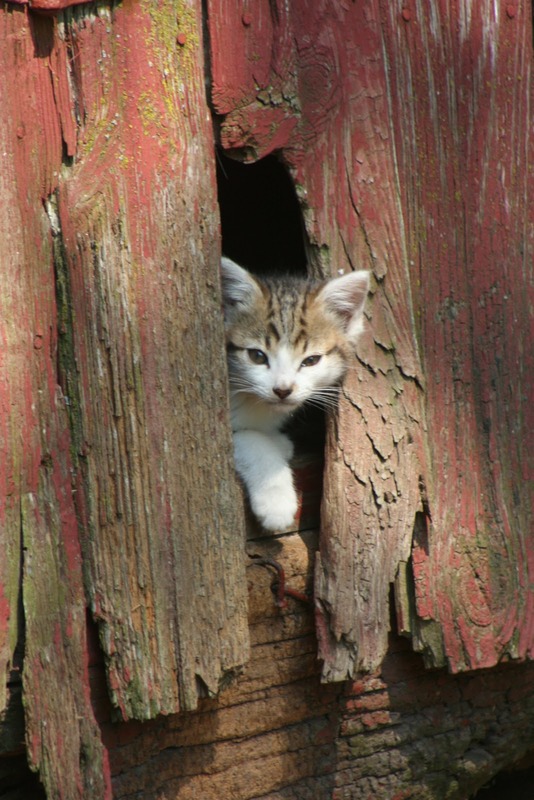 Growing up on my grandparents farm in Union City, there were "barn kittens" every spring. When I was as little as 5 and 6 years old I used to wait until the mother cat had her kittens and then I would climb up in the hay loft and sit on a bale of hay until I heard those kittens. I loved it up there and I learned to be be very quiet until I heard their little cries in the hay. Grandma always shook her head and laughed when I came down with those kittens in my pockets and arms. There was no hiding from this little farm girl! Oh so cute!! I just want to put him in my pocket!